3D logic/puzzle board game. The Halloween night is a period of time when even the most unbelievable thing may happen. And this is my story that happened on the Halloween night. You may believe me or not but suddenly I found myself in the dark forest. And there was a strange mansion... I did not know why I was there. But the beautiful witch told me that if I wanted to find the way home I had to go to the mansion and solve some riddles! 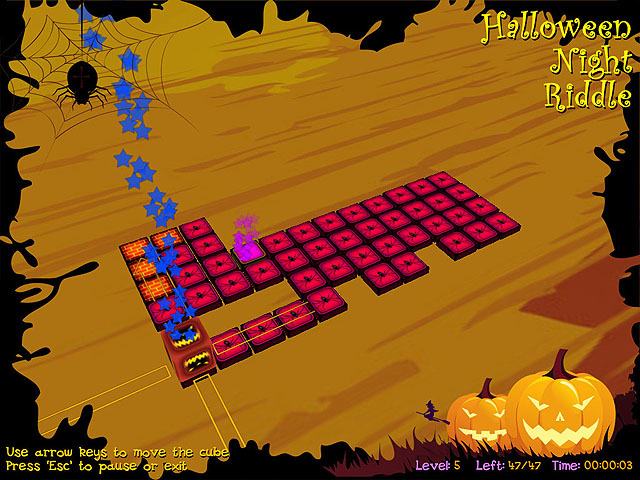 Complete 30 levels of riddles of the Halloween beautiful witch and find your way home through the strange abandoned mansion.